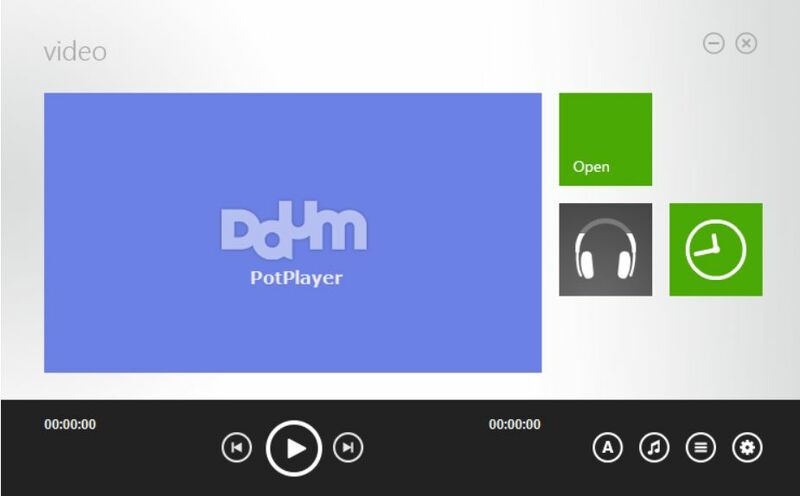 PotPlayer has been my default media player for almost three years, which is an achievement considering that I love to experiment with my software choices and have played around with everything from popular options like VLC and GOM Player to the offbeat ones like Neuview Media Player and Crystal Player. But PotPlayer has cemented its place as the default video player on my system by given me little to no room for complaint. The default PotPlayer interface isn’t exactly a work of art, and appearance is one area in which it hasn’t really improved over the years. While searching for PotPlayer skins, I stumbled upon a Microsoft Modern UI inspired skin called Metro.X, which blew me away. Here’s how my PotPlayer looks with the skin on. The skin includes the video player, the music player, the playlist, and the control box. It comes in as many as 12 colour variations, so Windows 8 users can alter the colour scheme to match their system colour palette. While there are multiple desktop media players with Metro UI and even more media players with a Metro inspired skin, I’m yet to come across a combination that looks as good as this skin while offering as many features at PotPlayer does. Give it a whirl, and let me know what you think. It is in reality an incredible as well as useful section of information and facts. I am satisfied that you shared this helpful info around. You should stay us educated like that. Thank you for expressing.